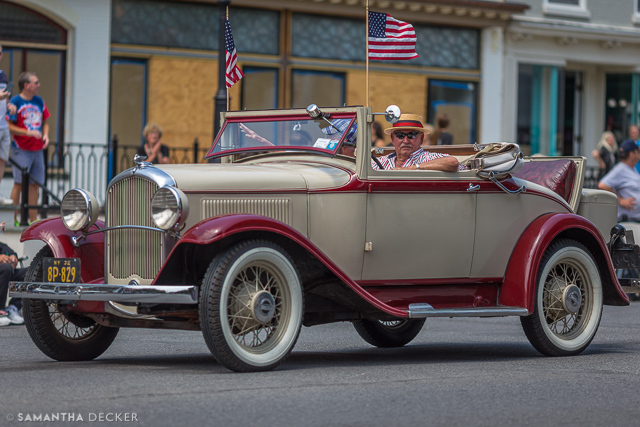 There were lots of classic cars in the parade. 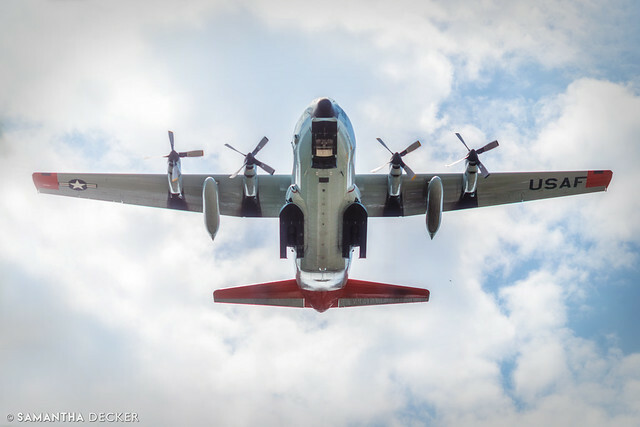 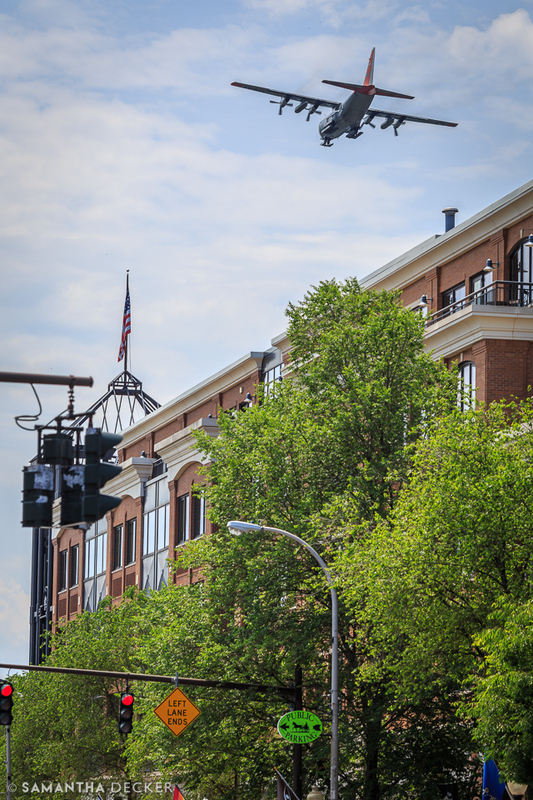 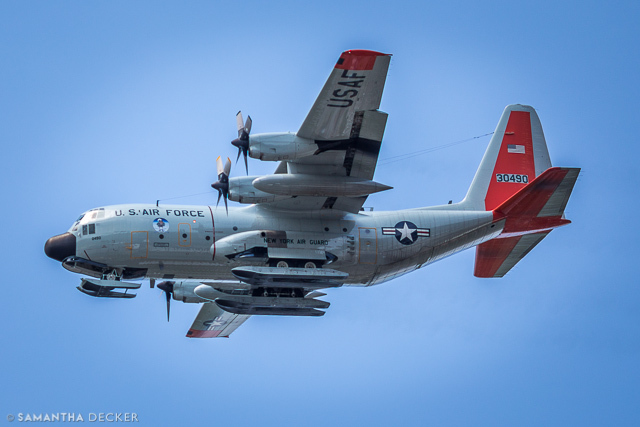 A C-130 Air Force plane flew over Broadway several times. 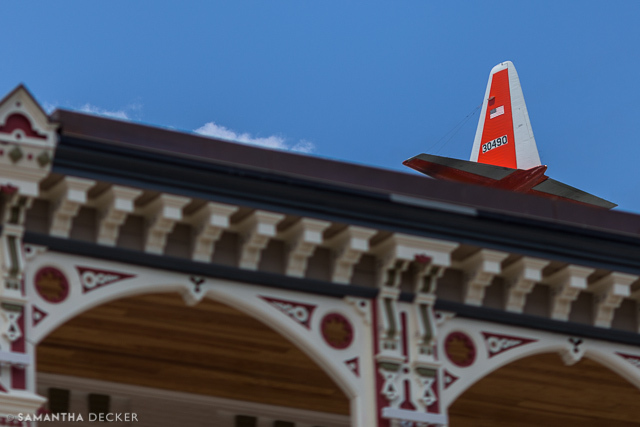 Every time it flew over, we nearly got whiplash pointing our cameras towards the sky. 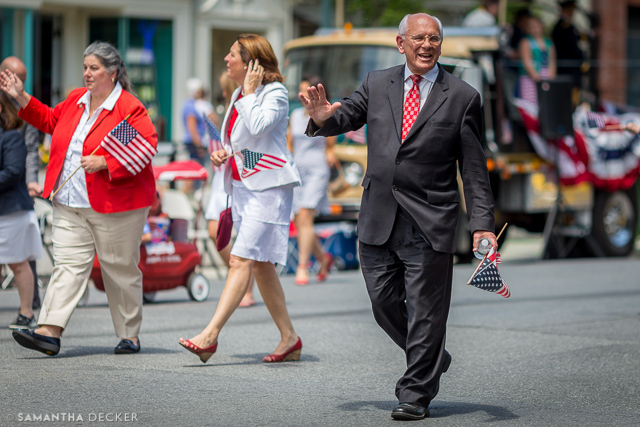 Congressman Paul Tonko with Mayor Joanne Yepsen and Assemblywoman Carrie Woerner in the background. 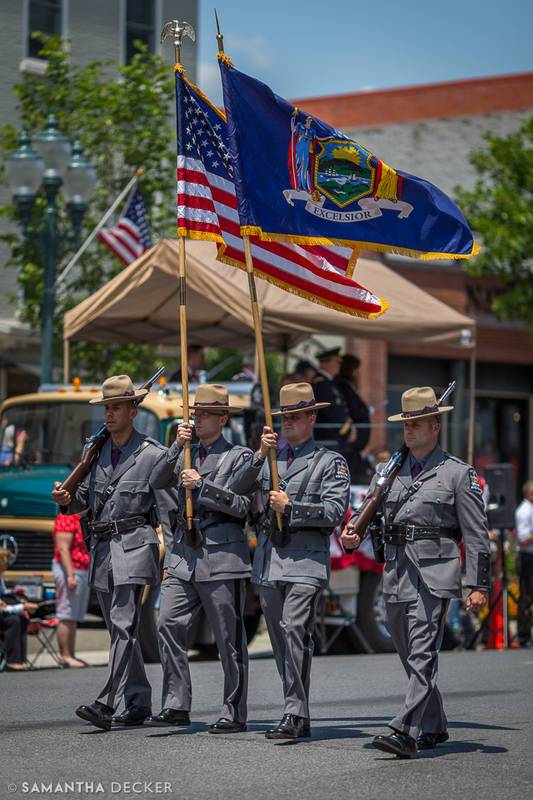 The New York State Police were celebrating their 100th anniversary. 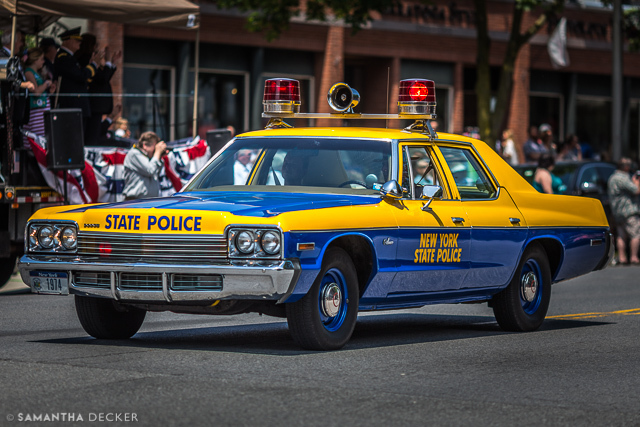 I'm loving this car, which appears to have arrived at the parade via the year 1970. 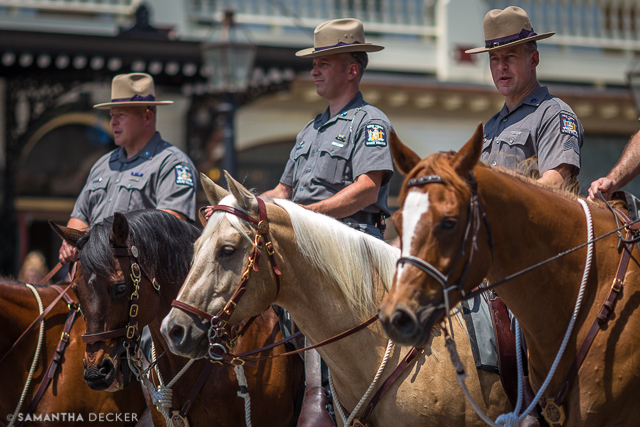 New York State Troopers on horseback. 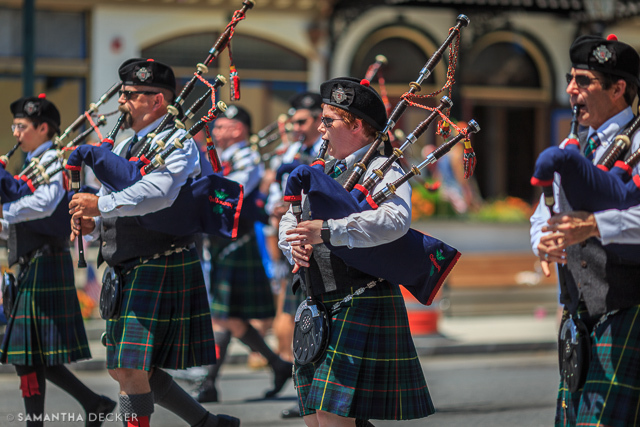 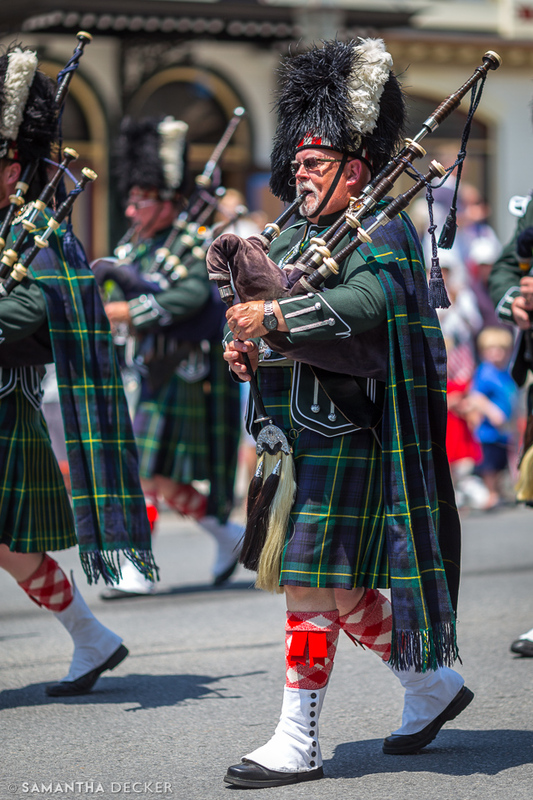 Several bagpipe bands played in the parade. 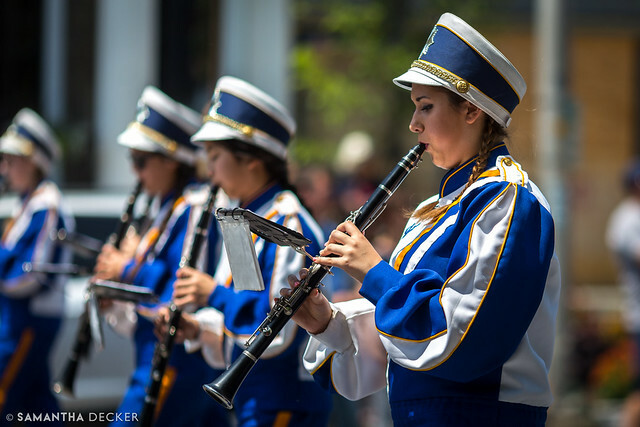 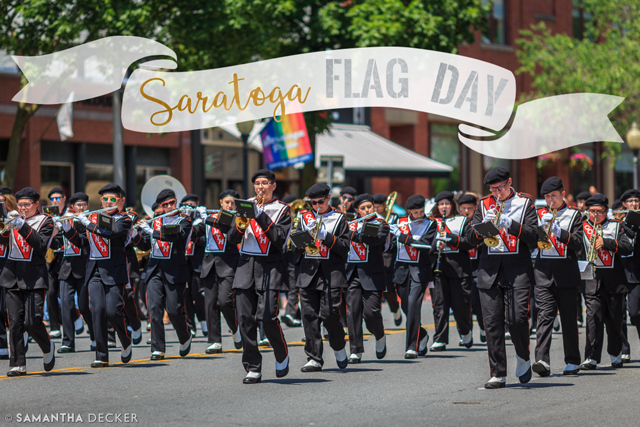 Many of the local high school marching bands appeared as well. 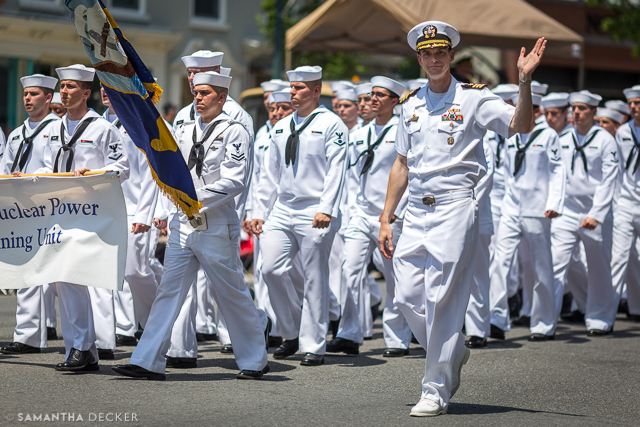 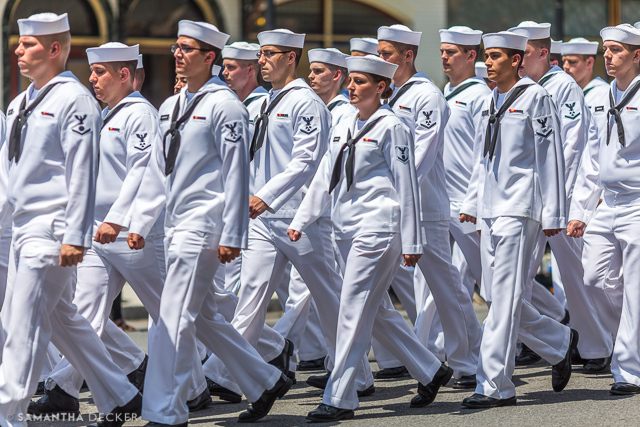 The Naval Nuclear Power Training Unit was a sea of white. 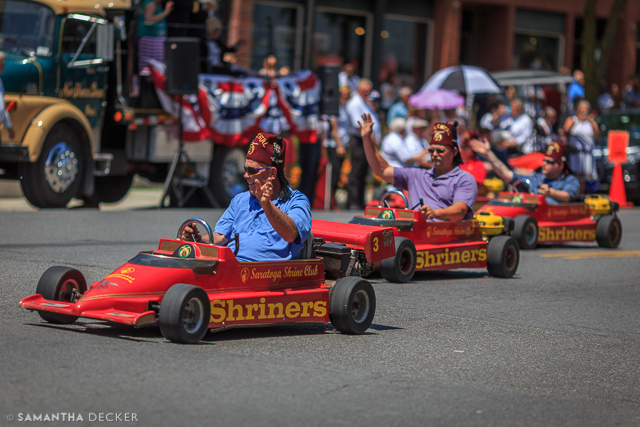 The Saratoga Shrine Club nearly stole the show in these little cars. 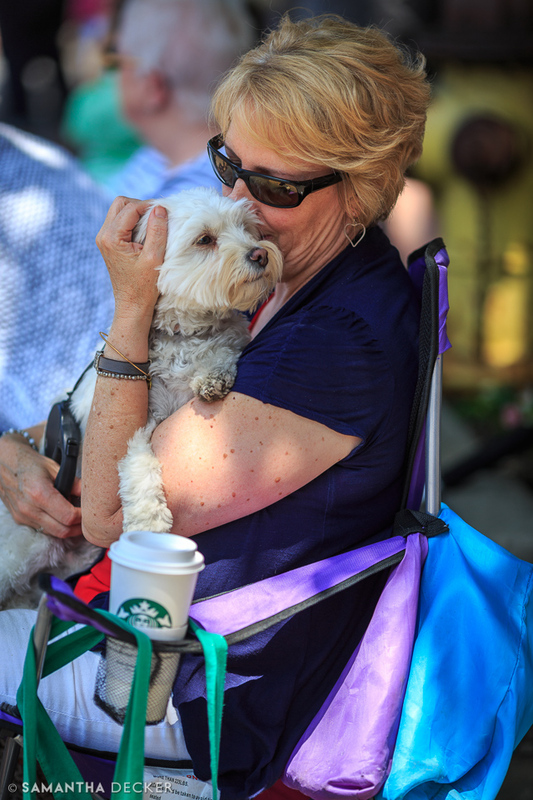 This woman and her dog were so sweet together; I asked her if I could take a picture of them. 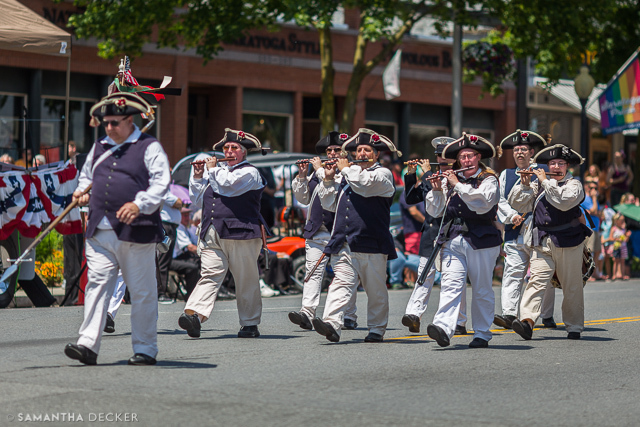 A fife and drum corps. 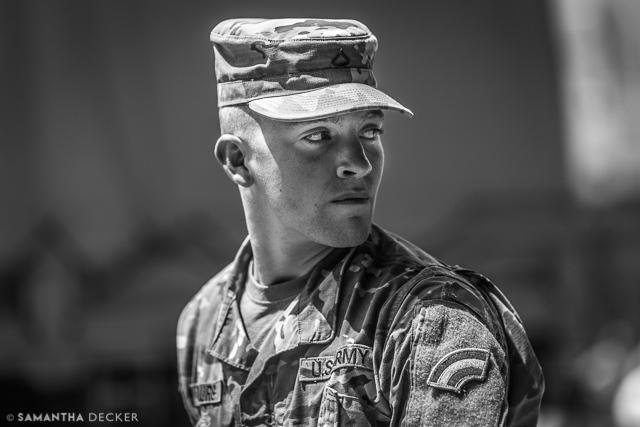 An army soldier has a stoic pose. 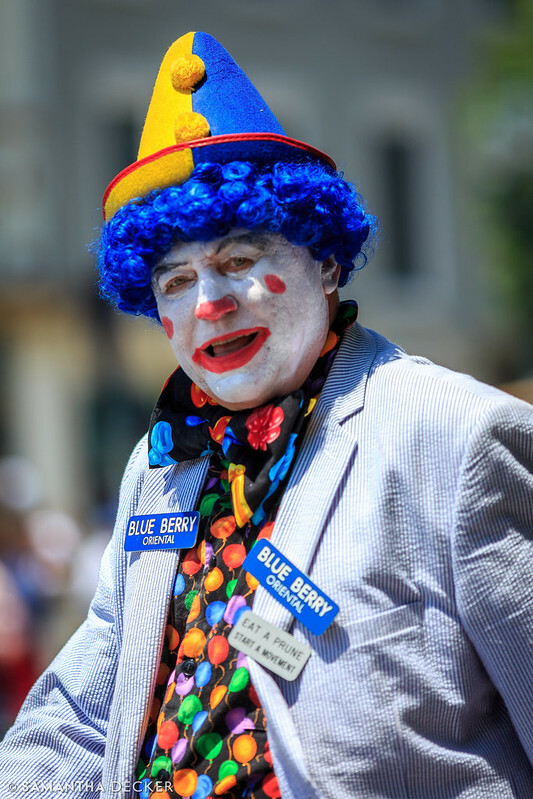 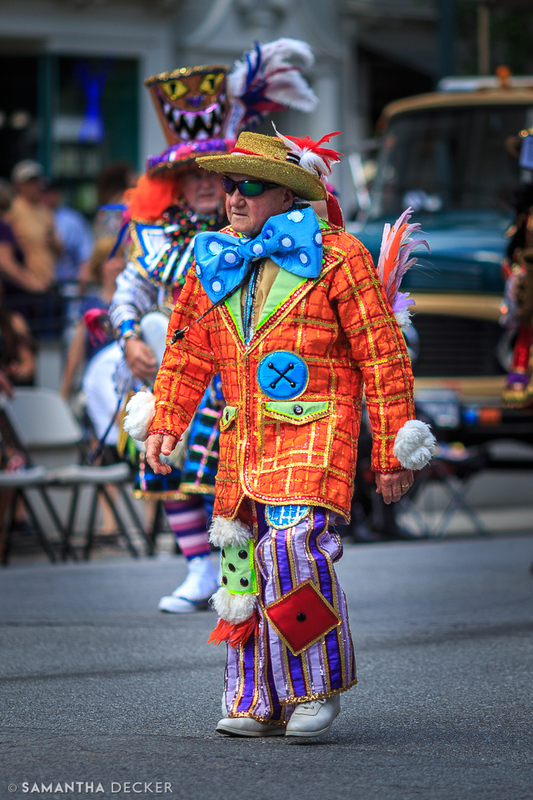 A colorful clown makes his way down Broadway. 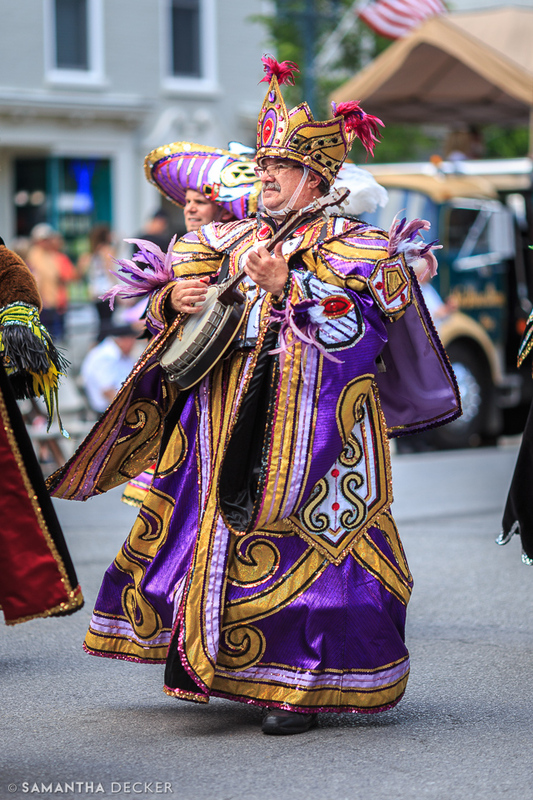 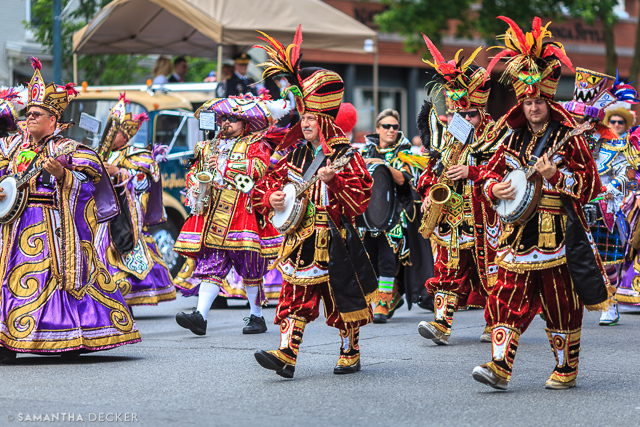 The Mummers Band were the most colorfully dressed group by far, and they rounded out the parade. 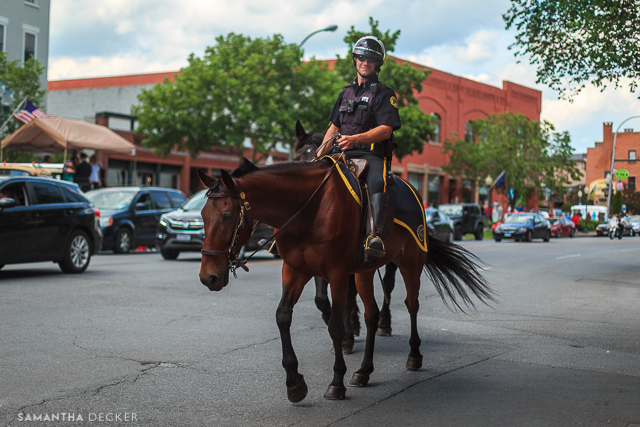 Police officers on horseback: a common sighting in Saratoga! 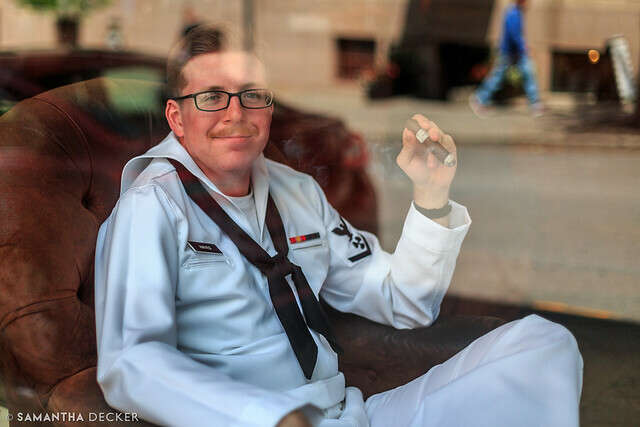 As much as I loved the parade, this photo I took of a sailor smoking a cigar in the Tobacconist shop on Broadway is my favorite of the day. 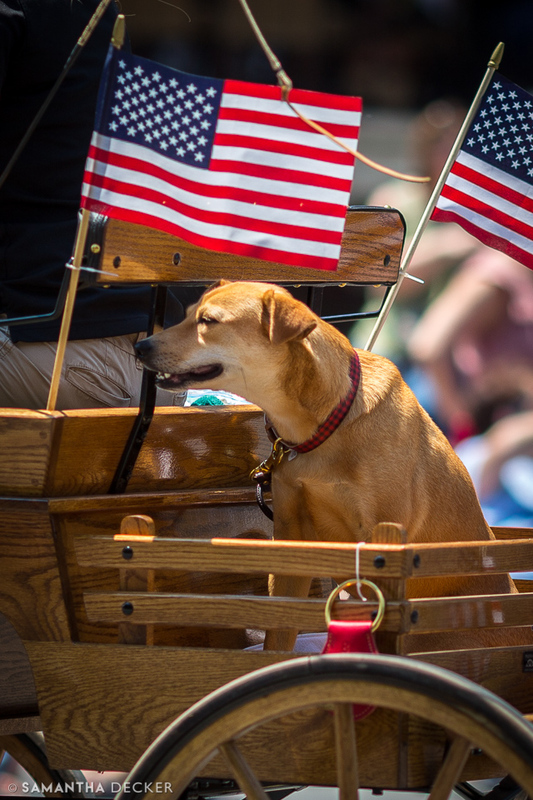 Thanks for agreeing to pose!